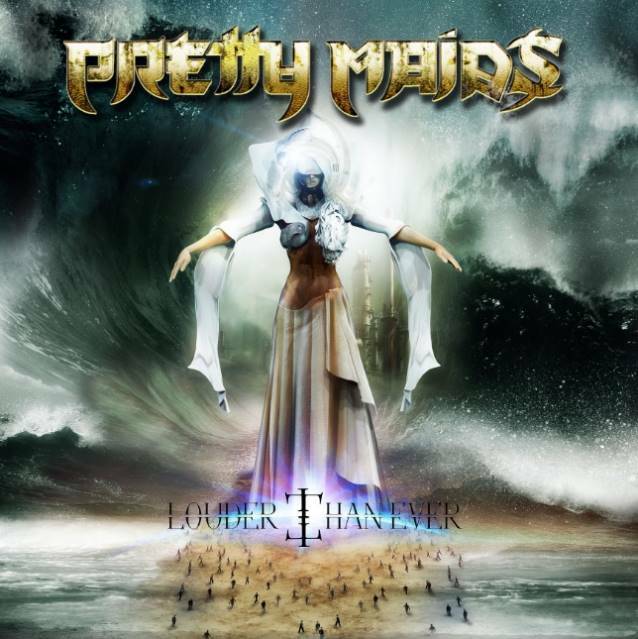 Frontiers Records will release PRETTY MAIDS' "Louder Than Ever" — a collection of new songs and re-recorded tracks from past albums — on March 21 in Europe and March 25 in North America. After celebrating thier 30th anniversary as a band and the release of their latest monumental album, "Motherland", the Danish melodic hard rockers are serving the fans with an album which includes eight re-recorded classic songs from the 1995-2006 era, plus four brand new songs specially written for this record and a special bonus DVD including archive footage from the '80s, brand new interviews and plenty of cool material for the fans! "There were two main reasons for us to do this album," explains singer Ronnie Atkins. "First of all, we wanted to keep the ball in spin and release some kind of an 'in between' album before the next 'real' studio album. Then we were curious to hear how some of the older songs would sound like with the band lineup we have today and in the hands of our current producer, Jacob Hansen. The original idea was actually to do a mix of both re-recorded, re-mixed, covers and new songs, but in the end decided to cut it down to what it is. We deliberately chose not to re-record some of the Eighties and early Nineties material, since it's some kind of 'sacred,' both to ourselves as well as the fans." The release of "Louder Than Ever" will be followed up by a three-to-four-week tour in Europe in May 2014. In addition, the band will appear at several festivals during the summer. * Includes archive footage from early stages of the band's career, interviews, backstage, studio footage and the usual freakiness. An EPK (Electronic Press Kit) for "Louder Than Ever" is available below.